Brightly coloured and satisfying to touch, a bag filled with a rainbow of marbles form Grapat. Children can play classic marble games and also combine with glass marbles so they can experience the differences in weight and texture. 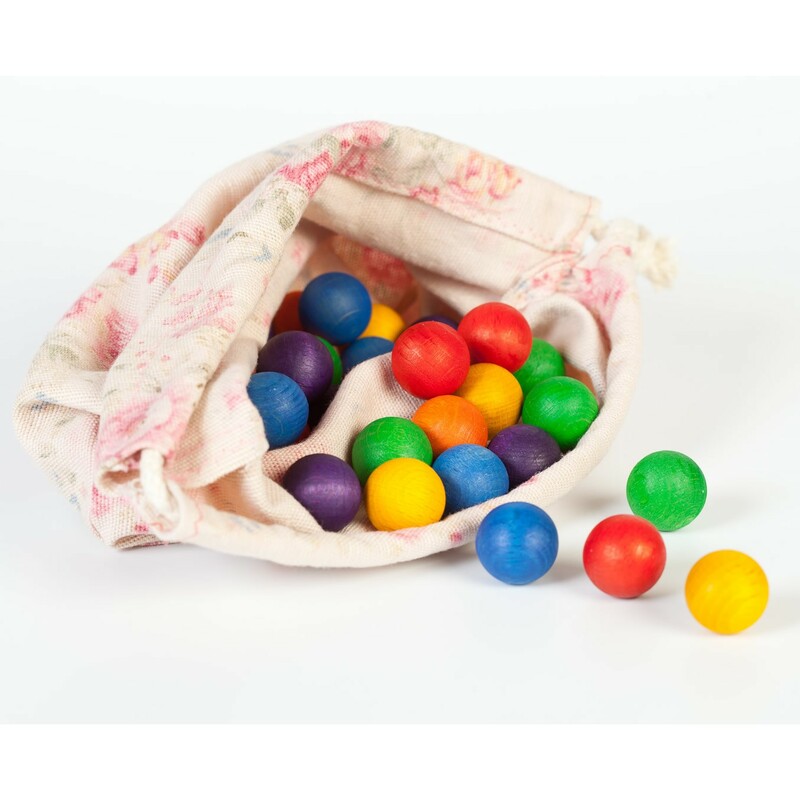 The various colours allow for all kinds of counting, sorting and mathematical games and children will enjoy simply rolling them around too. Recommended for 36+ months due to small parts. Grapat toys are hand made using natural wood and water based stain. Colours and wood grains vary as does life itself. Over time wood can wear with play. 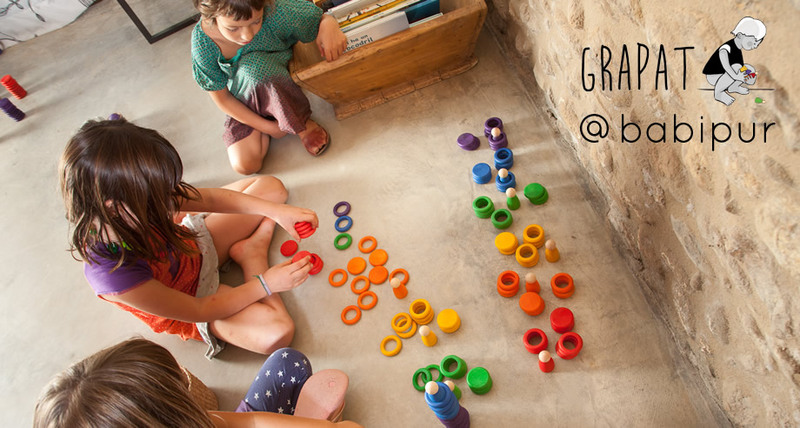 Grapat toys are designed to embolden the natural desire to play within every child. Simplistic toys made from natural materials allow children to play freely without rules or structure, playing discovering and learning. 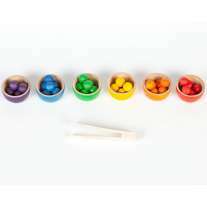 Sure to be a favourite with Montessori toy lovers, counting, sorting and open ended play galore. Grapat toys are famed for the “Nins”, a beautiful range of traditional Waldorf toy peg dolls available in a plethora of colours and designs that give them real character. Grapat toys exude the natural beauty of the earth made using locally sourced sustainable wood and finished with water based colour stain that is safe for children and will not chip away. Nurture your child’s instincts to play and create their own imaginary worlds with Grapat.